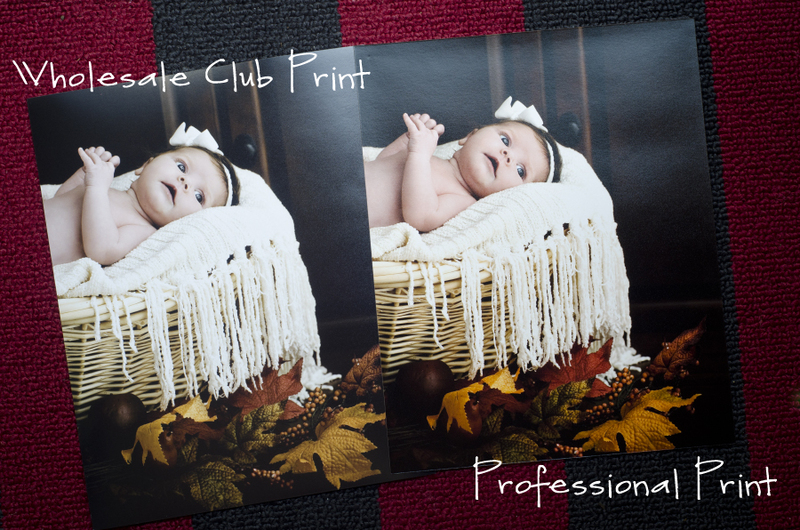 Whether or not to require your clients to purchase prints from you vs. handing over a disc with the high-res files on it has been a long standing debate for an up and coming photographer. I understand the argument from both sides: as a professional, I want my work to be displayed and reproduced properly as a true representation of my quality of work and as a consumer, I want to spend the least amount of money but get the most bang for my buck. Obviously, that creates a problem. Look closely at the prints below. 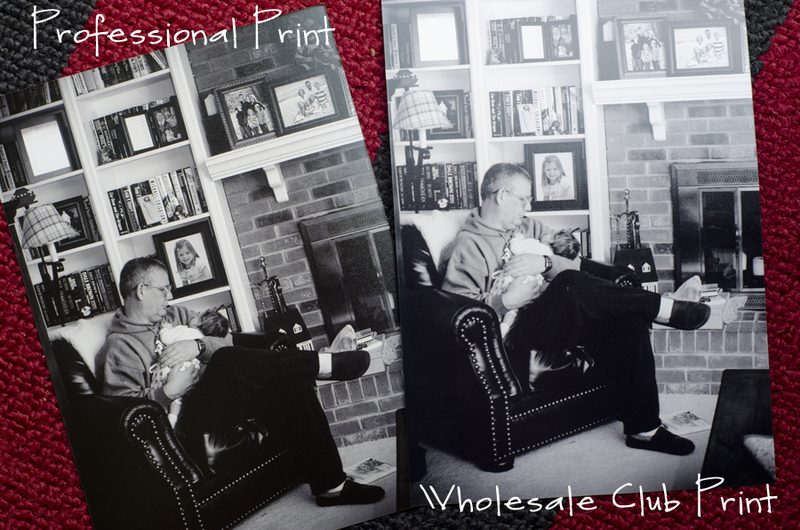 On the left is a professional print and on the right the bargain print. The first thing I noticed when I compared the two was how "muddy" the bargain print is. The colors are dull and there is a blue undertone to what should be a black and white image. Second and most importantly is the loss of detail. Look at the subjects and you'll see how much more depth there is in clarity, detail and shades of the professional print. Lastly, and what I can't illustrate in pictures, is the quality of paper. Professional paper is top quality, completely archival and much thicker than bargain printers. By touch alone you can conclude where each print came from. Now let's look at a color image. Below is an image of my sweet little girl when she was just a few weeks old. It is displayed proudly in my front room and it remains my favorite image from her newborn session. Why is it my favorite, you ask? Those beautiful, fall colors (she was born in October)! Colors that are clearly muted and dulled in our bargain print. Sad panda. In a professional print your blacks are true blacks - they're not gray and they're not navy. Notice how much more detailed the weaving of the basket is in our pro print. While some photographers aim to make a large profit on their prints ($50 for an 8x10? Really...?) I aim to simply cover my cost of the print, that of the web gallery and other photographer related expenses while providing quality images that reflect your investment into the session and the investment of time and talent I've applied to your images.